Planning bid for dentist in Cleadon Village rejected again by South Tyneside Council over parking fears. 1 Windermere. Picture: Google Maps. Proposals to transform a village home into a dental practice have been rejected for a second time over parking fears. Last year, ‘change of use’ proposals were lodged for 1 Windermere in Cleadon Village, off Front Street. 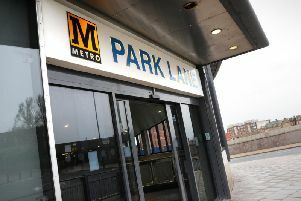 At the time, South Tyneside Council planners raised concerns about traffic congestion and parking problems in the area. Despite 20 letters of support from neighbours, the plans were turned down on the grounds of highway safety and are currently subject to an appeal. Less than six months after the refusal, a second bid was lodged for the site by applicant Cleadon Village Dental Practice. This included removing an existing boundary wall and widening a driveway to provide two parking spaces – alongside two inside a detached garage. Applicants said patients and staff would be encouraged to park responsibly and use public transport. In their design and access statement, dental bosses said they would lease four parking bays within the Little Theatre car park for “exclusive use by staff and patients”. They added they would reimburse parking fees from patients parking in a nearby pay and display site – a move backed by the car park’s manager. Despite this, planners refused the plans. Concerns included parking and congestion, lack of operational space for deliveries and highway safety. While evidence said four staff would be on site at any one time, planners noted there were no checks around more employees being hired in future. The decision notice reads reads: “No restrictions on staffing numbers employed from the site, with provision for only two on-site car parking spaces and no provision for on-site vehicle deliveries/unloading, would intensify demand for on-street space for vehicles thereby creating congestion within the area. “Particularly adjacent to the site within the Windermere/Front Street road junction which has no-waiting restrictions in place to keep the junction clear.